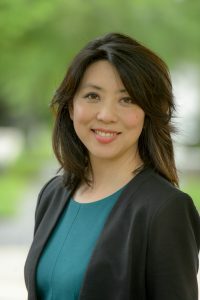 Cynthia Lee-Sheng was elected Councilwoman At-Large in 2015 after serving as the Councilwoman for District 5 since 2009. Cynthia showed an interest in public service early in her life and obtained a Master’s Degree in Public Administration from George Washington University. She is a graduate of the Federal Law Enforcement Training Center and served for 10 years as a federal law enforcement officer with the Immigration and Naturalization Service. Before running for office and serving on the Jefferson Parish Council, Cynthia practiced as a CPA specializing in litigation support. Cynthia has spearheaded and worked tirelessly for significant changes and enhancements for Jefferson Parish. She advocated for the revitalization of Fat City and helped fund the Fat City mural program; She was instrumental in bringing the first Trader Joe’s to the greater New Orleans area; she initiated The Housing Stock Enhancement-Neighborhood Revitalization to attract new and younger residents; and launched area storm water management. Her grandfather opened the House of Lee Restaurant in the 1950s at the corner of Causeway Boulevard and Veterans Memorial Boulevard. Cynthia’s father was Sheriff Harry Lee who proudly served and protected Jefferson Parish for over 28 years. Cynthia has two teenage children, Gavin and Miranda who live with her in Metairie.